Thank you to everyone who participated in the #cnnvalentine challenge! Watch the video to see some of the best. In order of appearance, the Valentine's Day messages were produced by Khoa Phan; Josh McKibben; Troy Murray; Amber McEntyre; Frank Danna; the Dallas Regional Chamber; Rachel Hammond; and Jason Deehr. These were scheduled to air on CNN, but breaking news got in the way. Stay tuned for the next social media assignment! (CNN) -- We're intrigued by the possibilities of Twitter's new video-sharing app Vine, the service that lets you make and share six-second looping mini-movies. Available for iPhone, iPod touch and iPad, the app allows you to record a single burst of video or edit multiple scenes together, making it ripe for creating tiny time-lapse videos and stop-motion shorts. Of course, like with Twitter, a lot of the posts we're seeing are random clips of people's kids and cats. But plenty of other people are doing really cool stuff with it. For Valentine's Day, we thought it would be fun to try out a Vine project with all of you. So how about it? Take six seconds for the one you love! 1. Download the Vine app and make a video for someone you love. 2. Include #CNNValentine in the caption and share it on Twitter. 3. 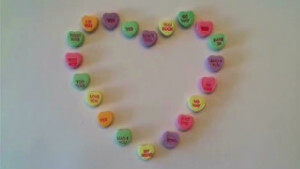 On Valentine's Day, we'll share some of the best videos on CNN and CNN.com. Select the camera icon in the top right to start a new video. Keep your camera steady. You can use a small tripod, or create your own simple mount by propping your phone on a coffee mug or taping it to a box. Avoid background music to keep from getting a disjointed sound. Put the first object where you want it, then press your finger on the screen to record a tiny bit of video. Hold your finger down as long as you wish to record. Move the object or add to picture. Then tap to record another short clip. Repeat the process until the green recording bar is full.